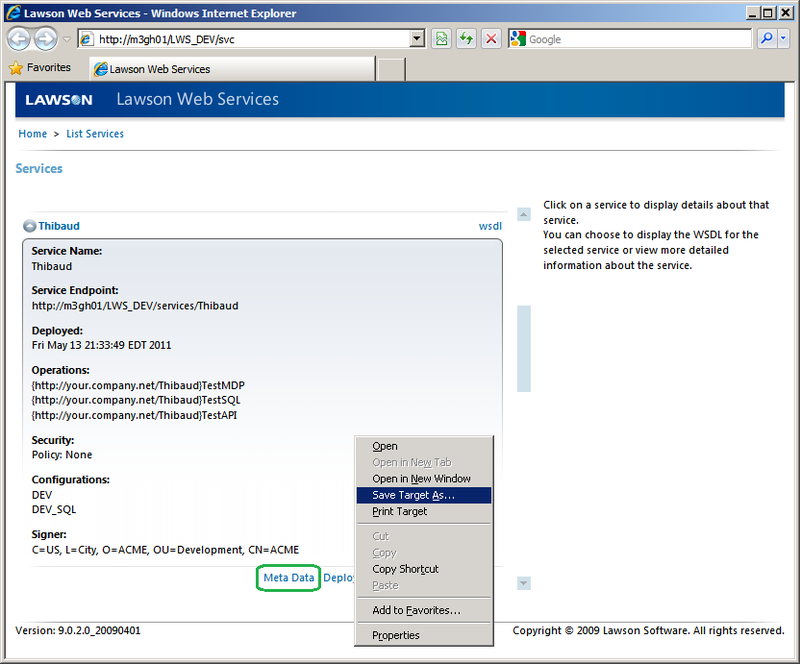 Here is a technique that uses XSLT to pretty print the XML metadata of a Lawson Web Service. 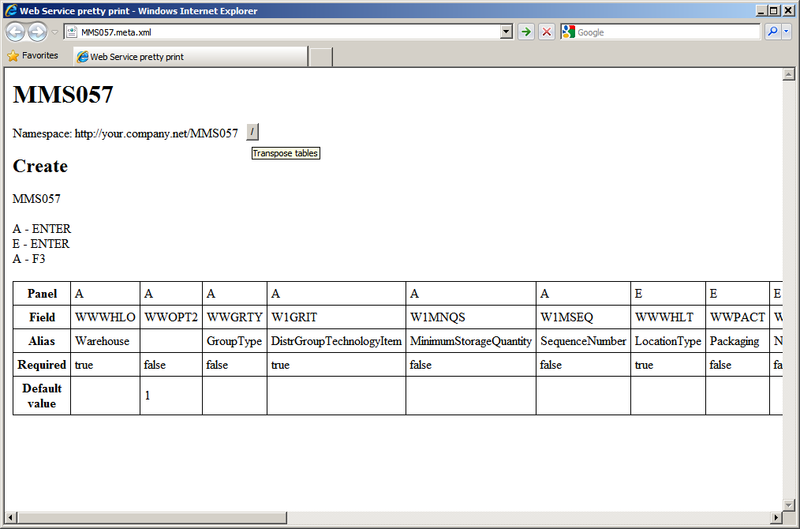 The output shows each operation’s details (name, input/output parameters, type, length, constraint, SQL statement, etc.) in a human readable HTML format. This technique is useful for creating template spreadsheets in Excel where we input data without having to manually enter the headers in the spreadsheet which is error prone. 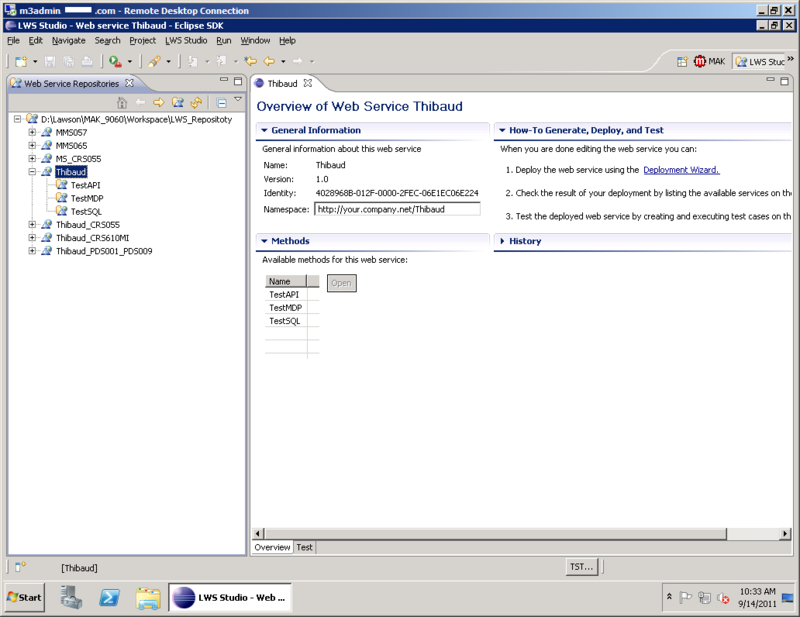 The result is similar to the template spreadsheets generated by Smart Data Tool. The little button at the top right transposes the HTML tables. Click the button. Copy/paste the transposed table in an Excel spreadsheet. That will serve as the header. Now just enter the data. 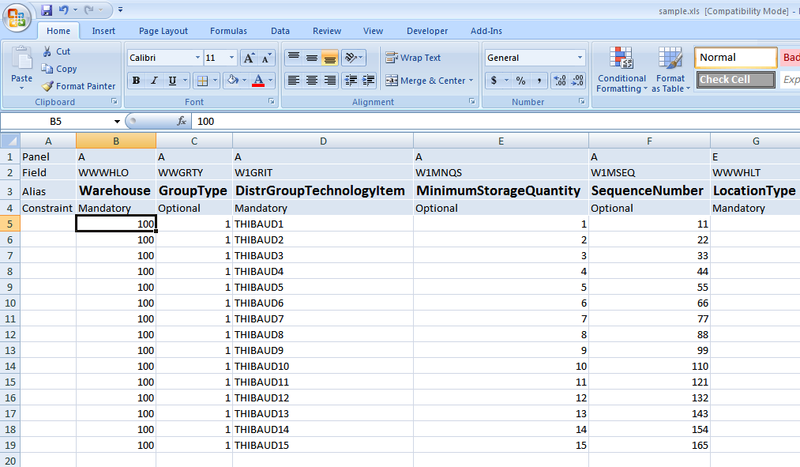 That’s useful to create the template spreadsheets in Excel similar to Smart Data Tool. 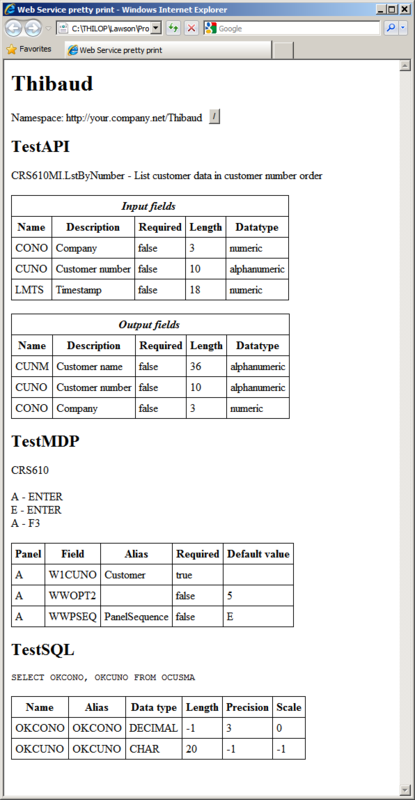 UPDATE 2012-08-14: Added support for MDP Output fields and Related Programs.